Recently picked up a GT200. 2006 with 523 miles and close to mint. Spent the past few weeks changing gear oil, engine oil, coolant, etc. Also did a few cosmetic upgrades. Blacked out the legshield trim, mirrors, brake levers, new grips and weights (thanks ScooterpartsCo). After all this I actually enjoy riding this bike more than my 2017 GTS300 Super. BUT...the acceleration is WAY mushy in comparison. It starts off really slow, then things get better as it gets up to speed. This agrees with everything I’ve read here. People seem to agree that the GT200 is capable of keeping up on the highway but getting from X speed to X + 1 takes longer. So I want to fix that. I’ve read every 218 thread on this site. I’m hoping for some input from Motovista, Mike Holland, and caketin. Also the guy whose name starts with a C that has the Kubler cranked bike. Here are the questions I want to ask before I start putting in some orders. 1. I know I’ll get a significant increase in off the line performance if I install the 218 kit along with the Malossi head. How much more grunt will I get if I increase displacement even more with the Kubler crank? I ask this question because some people say the 218 will get me wheelies and others say it will get me up to GTS300 performance. This effort has to be worth the time, effort, and $. I want wheelies. 2. 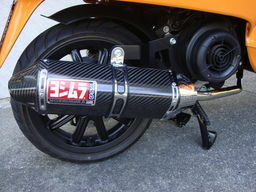 Seems the GT200 is different from the GTS bikes and the same exhausts don’t fit. If I get a Malossi cylinder and head what exhaust fit would I shop for? 3. When I do this I plan to use the Mikuni carb. With this carburetor is it possible to easily attach to the stock air box or will I have to use a pod filter? 4. I weigh 195. What rollers can I change to now that will cure some of my current off-the-line woes and what advantages would I get from moving to a completely different variator? 5. My “book learning” doesn’t extend to all the other springs on the other end of the belt. Should I be looking at different clutch and contra springs? My priority is acceleration. I’m not as interested in going 100mph. I’d like that too but getting up to speed quickly is my main concern. 1. How's your skills? Changing out the crank is a whole order of magnitude from swapping the head. 2. Might be reading the wrong threads, my understanding is exhausts are essentially interchangeable. Minor difference in stroke length only. 3. With the Mikuni will lose the pet carrier anyway, noise aside pod will work fine and make the most power. That said should be able to make the airbox work with minor mods. See my Mikuni thread. 4. Get a tach. Will want it for tuning. For starting point general consensus is that 10% lighter works well. IMO advantage of aftermarket variator is greater range, you can get a lower "low" with out sacrificing any top end. Can do similar with the factory vario and spacer washers but will lose top end gearing. 5. Clutch only if you want revvy take off, but they're cheap if you want to experiment. Will want the contra, especially if making more power. No belt slip, accelerate up hills, downshifts better. Thanks for the reply. I’ll go read your Mikuni thread, I’m sure it’ll shed some more light. I’m quite handy, having built a couple car motors and even an automatic transmission. I’ve tried to tackle some pretty big jobs and like grease and torque wrenches. Your reply did however make me want to take a more conservative path. I don’t really want to change the crank, it just seems like it would be pretty awesome to stroke the motor. The pet carrier is my only storage option so maybe the Mikuni is not an option either. 218 kit, head, rejetted carb, variator should be more than adequate, and about $1000 cheaper but I will also hope to hear from anyone else with experience and opinions on this. 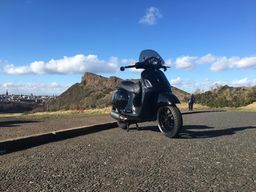 Following this thread as I have the same scoot and are also interested in adding mods soon. I've got a 125 injection thats out at 218 now. All the Malossi kit, Forecemaster 2 , clutch, gearbox from a 300 Dr Pulley sliders etc. Also got a 300 thats pretty standard apart from an Akra on it. The 300 is definitely slightly quicker and pulls slightly better, but the 218 is definitely more fun. Great feedback thanks for your input. It’s helpful. This project is on hold and in the meantime I’ve just been riding and enjoying it as is. So here I am 3 months down the line. I know I like riding my 06 gt200. I’ve worked on it, gave it stripes, changed out mirrors, grips, weights and love riding it. It sits lower that the gts300 but EVERYTHING else about the gts is better. There’s no comparison when it comes to acceleration. Brakes are better on the 17 gts. I want to put a gts motor in my 200. Been watching salvage bikes and some are remarkably complete. Buy a salvage late model 300, 2018 or 2017. I’m fairy certain the motor will fit. My questions to the gurus is can I swap out all the wiring and get this thing to work?i know there are electronics, a fuel tank/pump to contend with. I think it would have the potential to get up and go with the late model 300, fuel injected, and then add a malossi Head, cam, and cylinder. Where will the problems arise?? Rob, did you try painting the GT200 red? Get in touch with Motovista on this forum. He has a very hot GT200. NB. Brakes are no problem. As soon as I got my latest GTS300 I replaced the brake callipers with Frando ones. They make a great difference. Another thing I did straight away was replace the front shock. NB2. I preferred the GT saddle to the GTS one, as I like to sit in the middle of the saddle. Have a mono saddle on my GTS now. NB3. I think the GT carrier/rack looks much better than the chrome plumbing carrier for fitting a topbox. Makes the topbox look like part of the scooter, sitting behind the saddle, instead of a balloon floating above it following the scooter..
I’ll wait for Motovista to see this. He’ll be where I buy everything I need anyway maybe he can steer me in the right direction. I’m particularly concerned with the dashboard and if everything (horn button, highbeams, signals, etc) just plug right in. There will be extra wires from features on the new bike that will not have anywhere to go on the old one like maybe there’s a wire that goes to the switch that turns off the traction control. Can all that be disabled or is it going to give me trouble? I’m assuming I could theoretically use the brakes from the donor bike, would that allow me to have ABS? These and these types of questions are what I want to find out and I consider taking this journey.